Embellished » All Folded Up! Happy Tuesday! 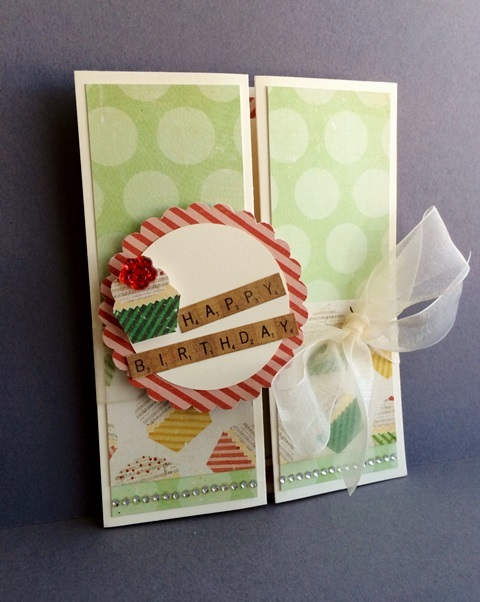 I just adore doing differently folded cards! 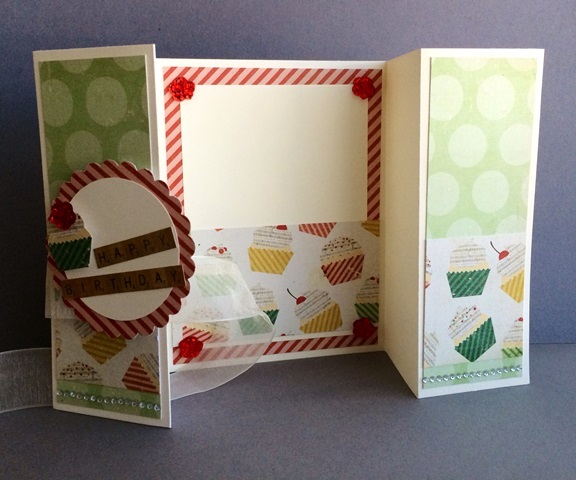 This week we are doing the Double Z-Fold Card! It was a blast! Absolutely love this card. So sweet and clever. Great job…can’t wait to pick it up on my next trip up! Totally awesome- love how you have the cupcake DSP with the one on the front. So colorful and fun – fantabulous card, pretty lady ! !